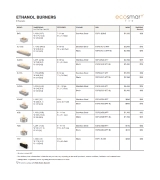 Creating your own wall mounted ethanol fireplace is easy with EcoSmart’s zero-clearance firebox inserts. 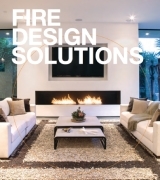 Elegantly designed and robustly constructed, they typically use less space than a traditional fireplace. 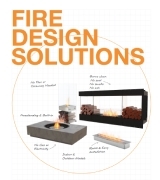 EcoSmart fireboxes can also be placed directly against combustible materials like wood, dry wall / gyprock or panelling, providing great design freedom for builders, architects and homeowners. Installed with or without an exposed flange, or integrated within cabinetry or a fireplace setting, the firebox offers the perfect blend of functionality and design aesthetics. All the fuel is housed within the self-contained burner so you don't have to run pipes or cables through your walls. Self-contained construction results in stress-free fireplace installation as no flashing, roof work or plumbing is required. 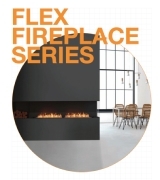 Being smoke and soot free, our fireplace inserts don’t have the same environmental concerns as traditional or gas fireplaces. There’s no need for a chimney to vent harmful gases, as burning liquid e-NRG Bioethanol does not produce any smoke. Instantly transform an existing, closed-off fireplace by sliding the fuel efficient ethanol firebox insert straight into the wall cavity. Slimline, compact stainless steel insert for where space is at a premium. A square-shaped stainless steel design, the 650SS enables multiple installation options. Can be integrated in feature walls, kitchen island benches, and custom cabinetry.